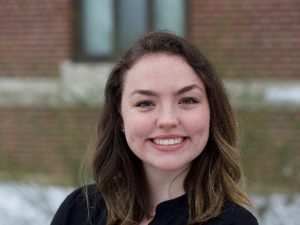 Lauren is a junior at the University of Michigan, where she studies English and American Culture. Her start in radio was volunteering at WCMU in her hometown of Mount Pleasant. In her free time, she enjoys being active outside (weather permitting) and trying new recipes in her apartment’s tiny kitchen—always with Michigan Radio playing in the background!